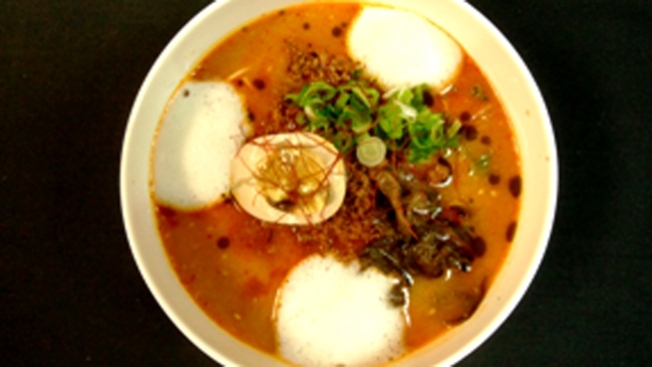 Making easy Spicy Ramen from BEADBAR's Chef Noriyuki Sugie . 2. Add garlic, ginger, and ground meat. 3. Add chili paste or powder, sugar, salt, and pepper. 4. Cook noodles according to package and pour into a ramen bowl. 7. Top the soup with the spicy meat mixture and green onions. Serve immediately.